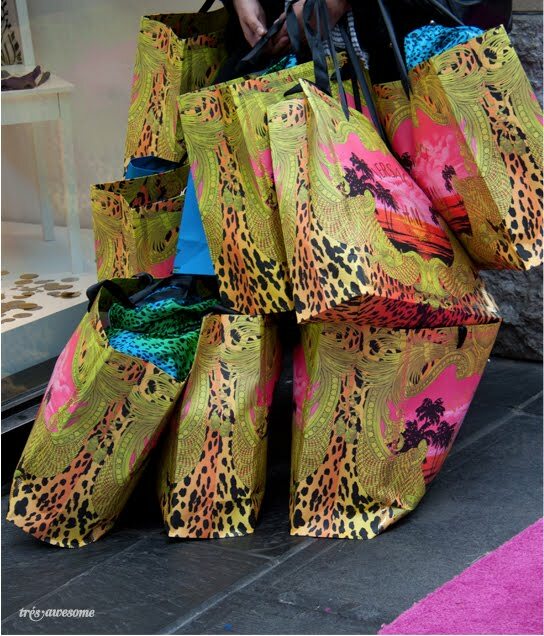 Today Versace for H&M‘s 52-piece collection launched in stores and online and people went banananas. London got a personal appearance by the designer herself, Donnatella Versace. New York got a fabulous launch party with performances by Niki Minaj and Prince. 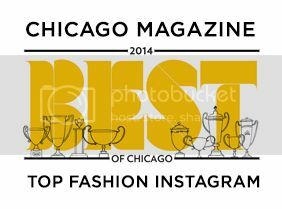 What did Chicago get you ask? Aside from the soggy croissants and coffee that were passed out in the very early morning, the answer is a big bag of nothing. 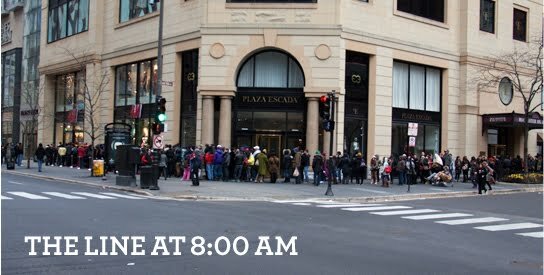 The crowd lined up as early as 8 pm the following evening for a chance at getting the most coveted items like the studded leather jackets, scarves, and bomber jackets. Overall the demographic was markedly different from last years designer collaboration with Lanvin. There were far fewer women and almost everyone was in their early to mid 20s. This gentleman was lucky enough to score the Versace for H&M men's leather jacket, which he immediately put on. I love how he's paired it with an Ambush Pow necklace and graphic t-shirt. As always there were many people looking to turn a quick profit by scooping up the popular items and selling them on e-bay. The person buried under this ton of shopping bags hilariously tried to convince me that he and his boyfriend were planning on keeping everything for themselves. 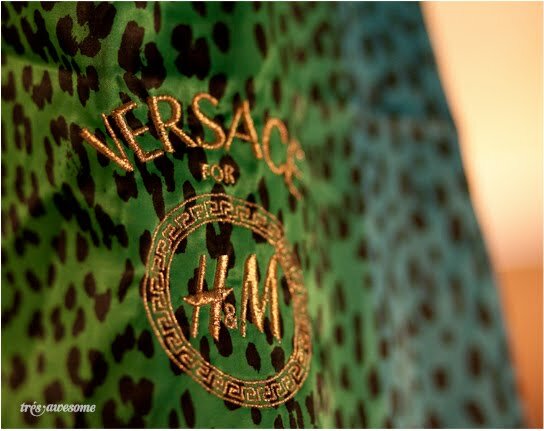 Right now there are tons of Versace for H&M items going for 3-4 times the original price, however it should be noted that at this time there are almost no bids on most of the auctions. For me the best part of the collection were the wack-a-doodle prints. 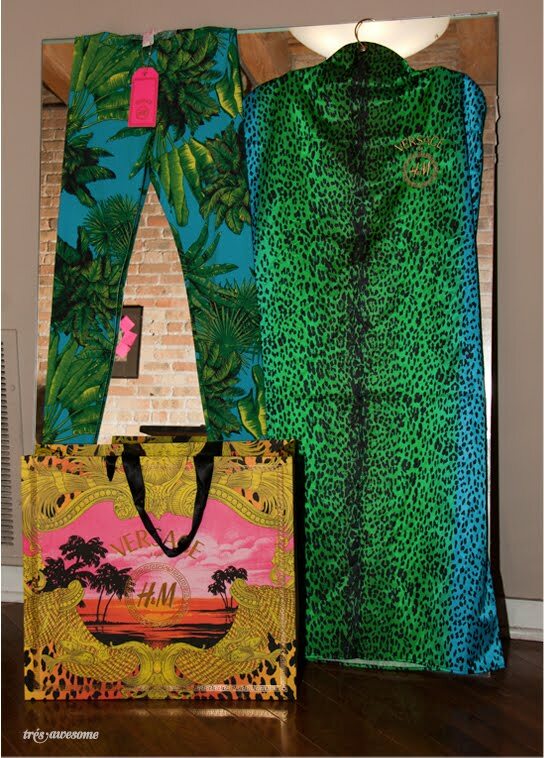 I got these radical leggings for only 29.99, which came with this Versace for H&M garment bag and deluxe shopper. Wow, those prices are bit steeper than I would have thought for this collection. 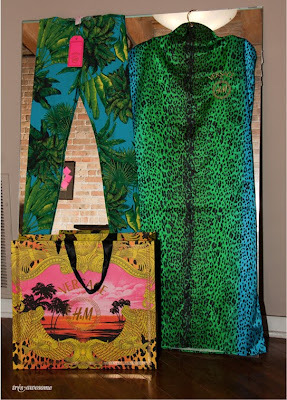 Nonetheless, that packaging is amazing and so are those funky pants! I stopped by about 1pm on Saturday, and it was still crazy packed. And I saw a lot more, ahem, older women while I was there in addition to the 20-somethings. This is so gorgeous, I would love to own this piece, it's going to last for years and years.